More than 78,160,486 beer lovers served! 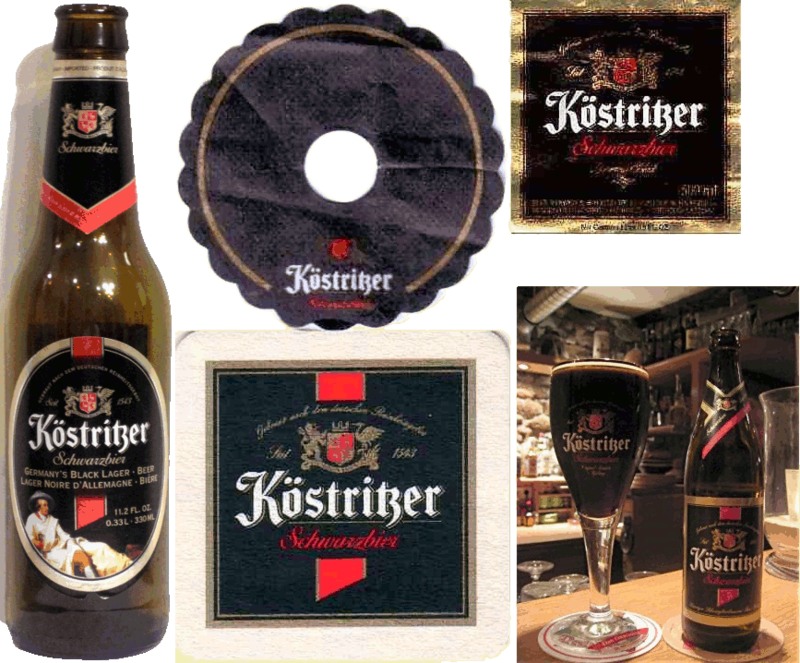 Michael Jackson tells the stories of Köstritz and Schwarzbier in his Beer Companion. Huge tan head on top of a nearly-black beer. Roasty, licorice aromas. Medium-light body. Nicely roasty, mildly sweet and malty, with hints of licorice and just a bit of hop bitterness. Deep dark black-red. Big fluffy tan head. Chocolatey, roasty aroma. Medium-light body. Very nice smooth chocolatey flavor balanced with a fine roastiness and a good fresh malt flavor. Best Schwarzbier we've had so far. Almost black, thick head. Smells like licorice. Pretty sweet, black licorice, maybe some almond. Light body. Very dark brown, big head. Some black malt aroma, and just a hint of hops, but not much of either. Smooth, fairly roasty, and kinda sweet, with the hops showing up in the finish. Tastes almost-but-not-quite fresh. Very dark red, nice head. Very nice chocolate aroma. Smells like a brownie. Big chocolate taste! Good sweetness, but not overdone. Finishes fairly quickly. Light carbonation. Not much hop aroma. I like this a lot. Deep golden. Moderate head. Fresh malt aroma, slightly fruity, with a hint of alcohol. Medium-big body. Lots of sweetish malt flavor. Some fruity esters. Warming alcohol. Deep bright golden. Big thick head. Sweet malty aroma. Medium body. Hugely malty and fairly sweet.